Eid is a beautiful gift from Allah for the patience, tolerance and perseverance we showed in the month of Ramadan. For the fasts we kept for His sake. Even though Allah doesn’t need any of that yet He gives us a chance to celebrate many of our weaknesses that we were able to convert into our strengths. And the joy of receiving such gift is contagious. 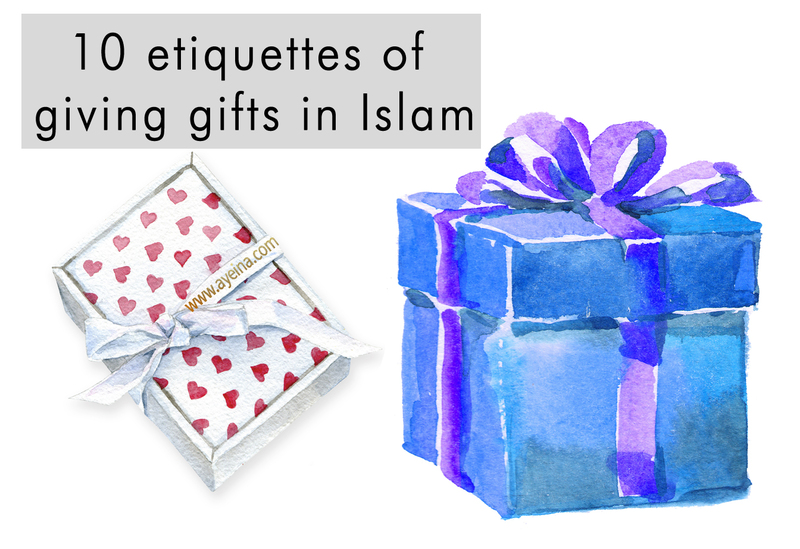 Hence we give gifts to each other on eid too. So the question is, can gifts increase love? How to make sure your gifts do nothing but increase love for each other? If your intention of giving a gift is to increase love and remove malice from the hearts, then it will be that source for you. Any other evil motive behind it can waste all the money and effort involved. The more you expect, the more you are let down. So give a gift for the sake of Allah and your joy-meter will automatically rise! If you can afford an expensive gift, go ahead. But the reason shouldn’t be to show off your wealth. No matter how small the gift is. No matter how insignificant it may be for some. No matter how cheap the product is. Make it presentable. Give gifts that you can afford easily and something you’d like for yourself. Imagine someone giving you a gift and then demanding it back because you didn’t gift them back or you had an argument with them etc. You’d rather not receive such gift! We have a culture of saying NO as a default and it constantly rolls on our tongues on special occasions like Eid. If someone is giving gift out of love, accept it. Although the following hadith is specific to children, the rule can apply to siblings, parents etc. as well. Whether it be a second hand gift, something you already own or an inexpensive product – if someone has tried, it’s praiseworthy! Say jazakAllah Khair (for male) / jazakillah khair (for female) instead! (Meaning: May Allah reward you with good). Try customized gifts or even best, handmade by you! You may think it’s not your forté but it’s the thought that counts. In such a busy life where everyone is just running and running, handmade has more and more value. It’s special. It’s unique. It’s thoughtful. It’s personal. Muslimah Bloggers holds an Eid swap each year so bloggers can show each other love, instead of competing with each other. Support each other instead of tearing each other down. Which shows that women can do amazing things as a team. Like they say, empowered women empower women. We were paired with a couple of bloggers who sent us beautiful gifts and since we are crazy about all things bookstore-ish, we received a lot of books. And the nerd in us can rest in peace now. Saima from https://saimawrites.wordpress.com blog sent one book for children (which covered so many aspects of Qur’an subhaanAllah) and another for adults (which fell in hands at the very right time as this was on the to-do list for long). Rafeeda from The big sweet tooth sent a children’s book which, you can clearly see, was a definite hit with this kid. She was glued to it the moment it was opened. There was no going back after that. Myda Tahir from https://ummeummah.blogspot.com blog also sent books along with an Eid card. Oh the joy of receiving a personal note. It bewilders me when people look down on a gift or consider it less because it wasn’t expensive. I mean hey! It’s about love and connection, not about wealth and materialistic stuff. Masha’Allah lovely gifts. Pleased to see the gifts went down well! 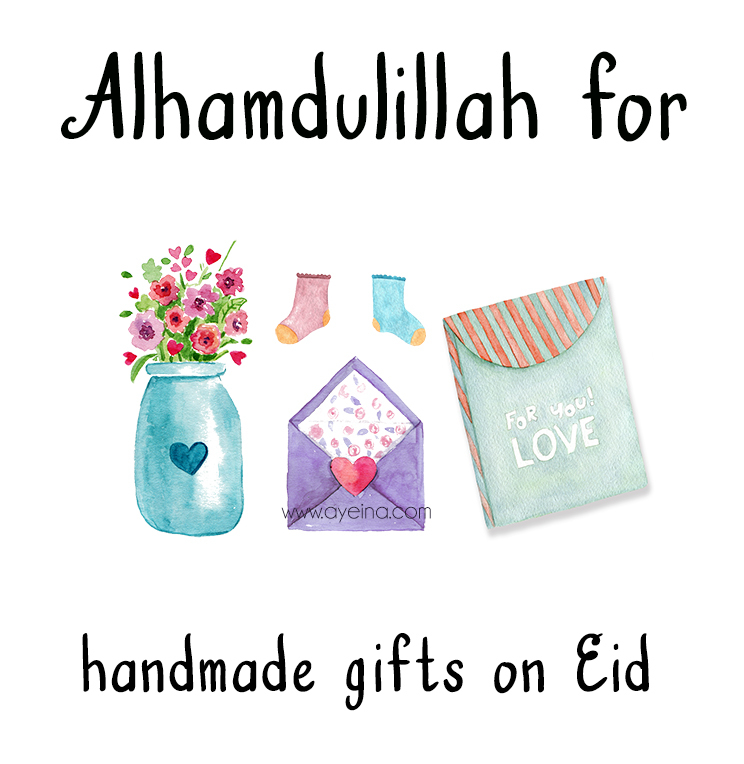 And JazakAllah Khair for taking part in the Eid swap! The Prophet (ﷺ) said: “…Never belittle any gift you give your neighbor even if it is a hoof of a sheep”. [Al-Bukhari and Muslim] Love this. Lol them relatives  can’t please errbody!